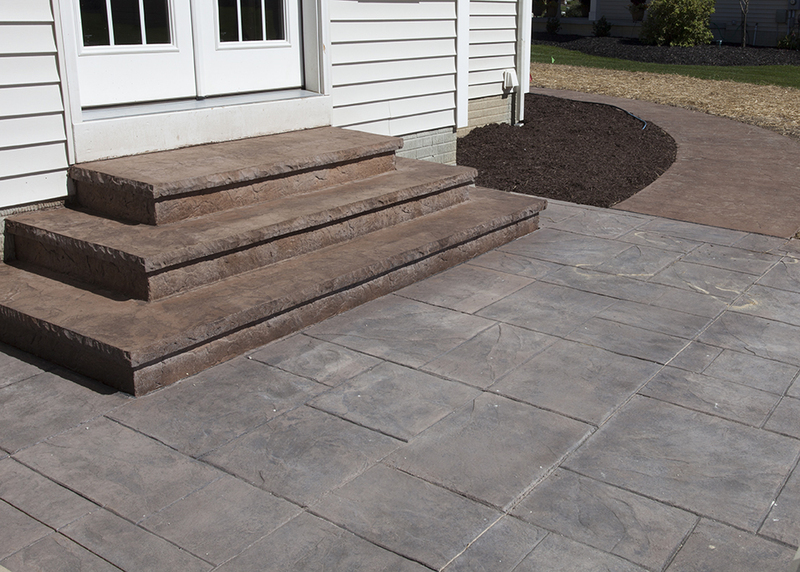 Thanks for visiting American Stamped Concrete online. 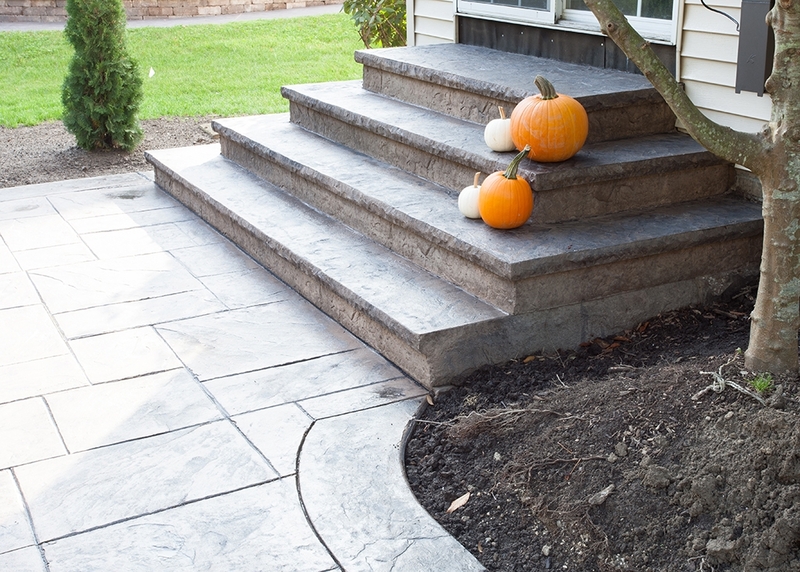 The fact that you are visiting us may mean that you are considering some sort of concrete upgrade or project. 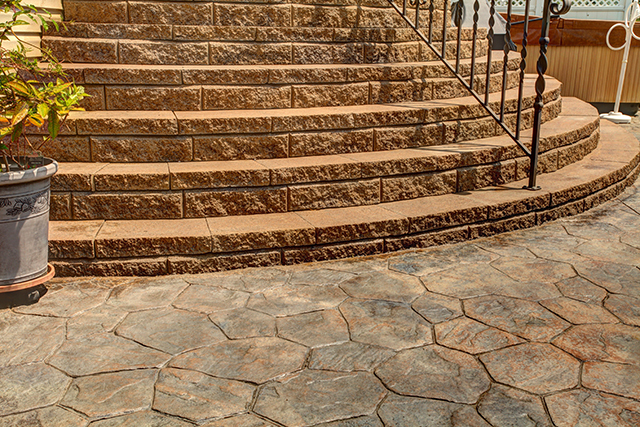 If it is a driveway, patio, garage floor or backyard oasis, let American Stamped Concrete have the opportunity to help make your decision a little easier. Please feel free to contact us anytime at (330) 348-6329. 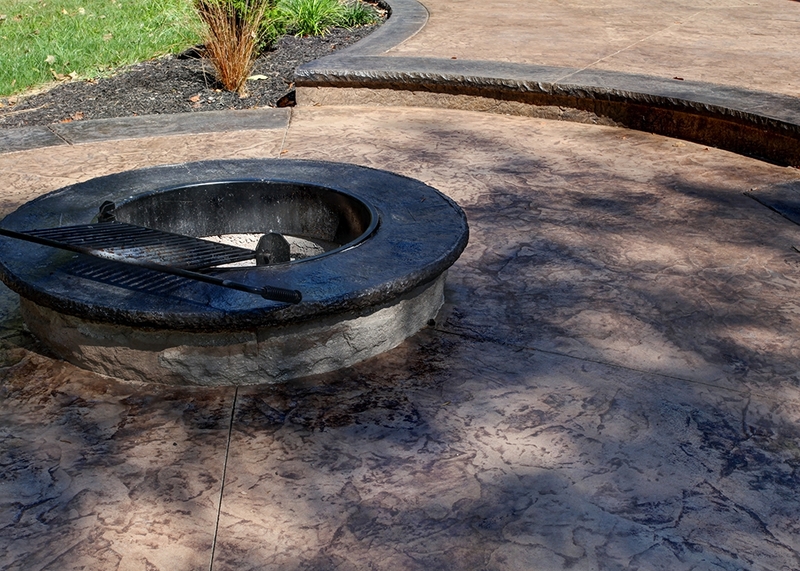 American Stamped Concrete has been servicing the Greater Cleveland area since 2003, not only doing basic concrete but continuing to provide the latest design and innovation in decorative concrete. 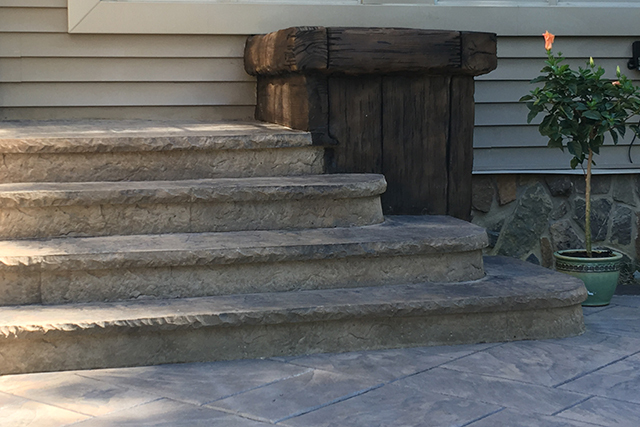 As you will see in our gallery we specialize in stamped and decorative concrete, as well as sitting wall, retaining walls and outdoor kitchens. 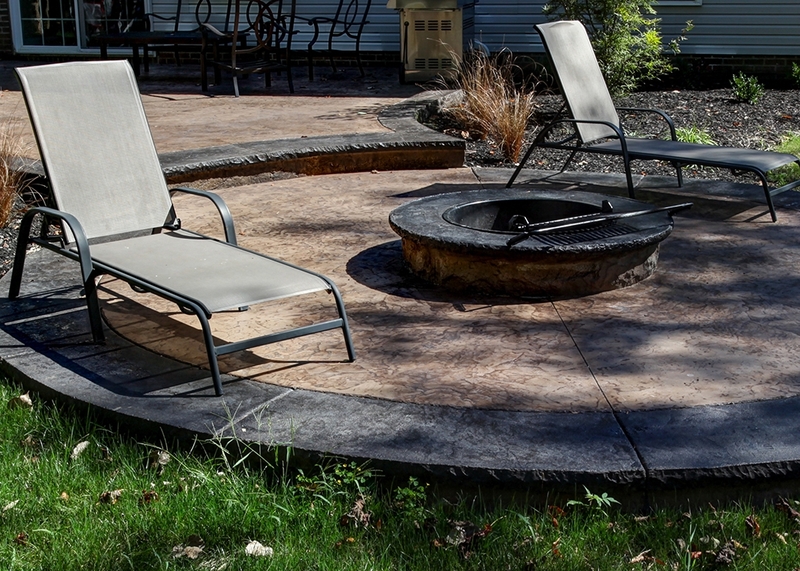 American Stamped Concrete is licensed, bonded and insured to give you the peace of mind that your project will be completed to your satisfaction and in a timely manner. We have been living in our house for twenty-nine years, and I have always wanted to have a screened in porch. That is until I saw the patio you did for a friend. Immediately I started thinking that you could make our nothing backyard into something much more useable. The process from our first contact to the completed project was pleasurable. Initially I only knew that I wanted the patio to cover the length of the house and be large enough to accommodate all our needs. I had absolutely no vision or knowledge of how you would do that and keep the cost within our limited budget. 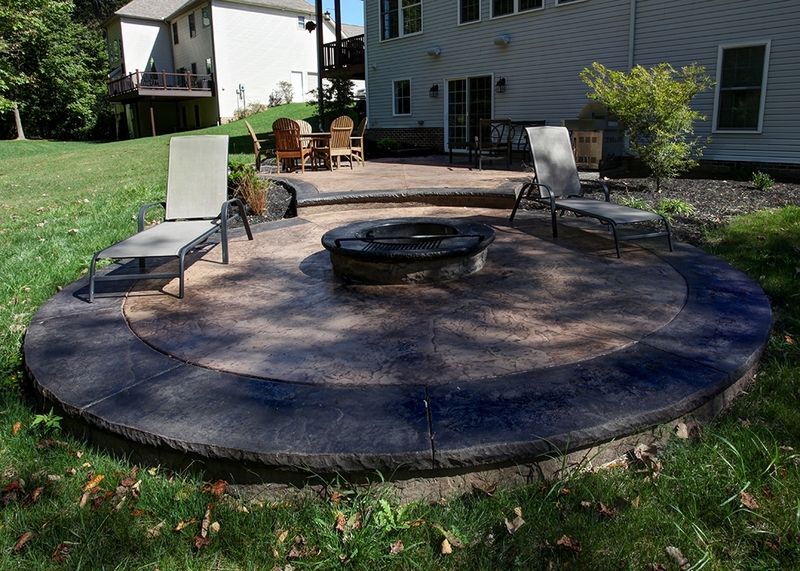 My husband wanted a fire pit and I did not want one taking up usable patio space. You were able to listen to both of us and come up with a plan that we were excited about. The really amazing part of the process was to watch you create like an artist. 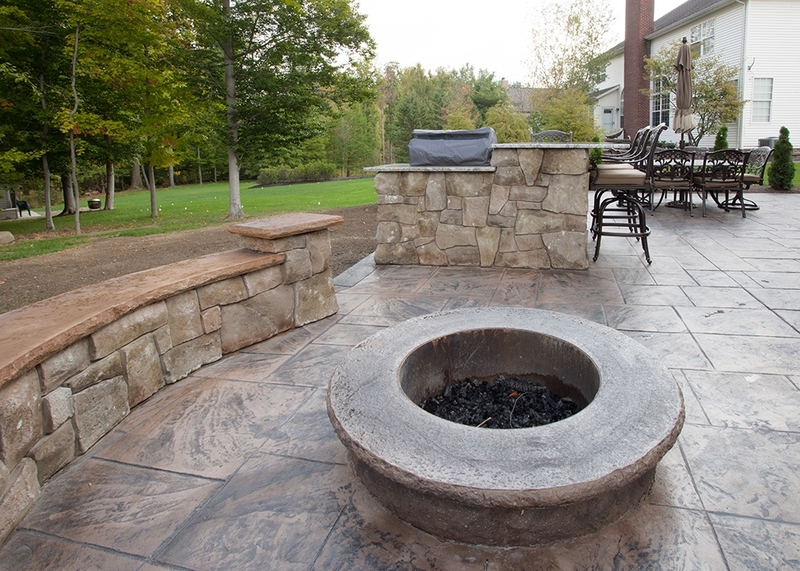 After the yard was totally dug up, you had a vision of how to incorporate all of our needs into a gorgeous backyard living space. All I could see was rocks and mud, but you told me not to worry and I trusted your judgment completely. I put my complete trust in your creative abilities and was not disappointed. As the plans changed and grew, you helped contain costs. The finished product exceeded our expectations. Both you and your crew were very easy to work with. My style was to tell you to do whatever you thought would look best. My husband needed to be a part of every little detail. You handled us both equally well. Although, I think I was probably easier. We are both thrilled with the patio. It has added so much value to our home, and I no longer think about a screened porch. Please feel free to use us as a reference. Thank you for your workmanship, reliability, and most of all integrity. We look forward to working with you again in the future. 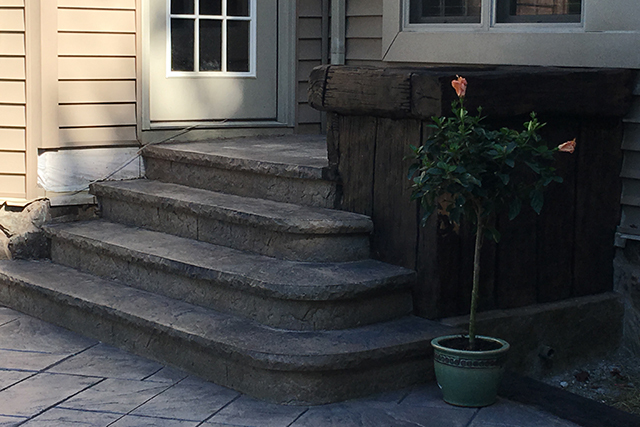 American Stamped Concrete totally transformed our backyard. Pete’s work has made for such an enjoyable, entertaining, and extended living space for our house. When we first met with Pete, we felt very comfortable with his reputation and the quality of work he was able to do. 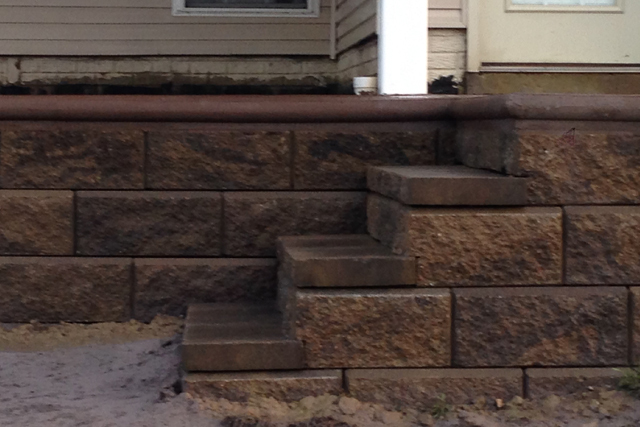 We explained what we had envisioned for our patio, and Pete made all of our dreams into reality. 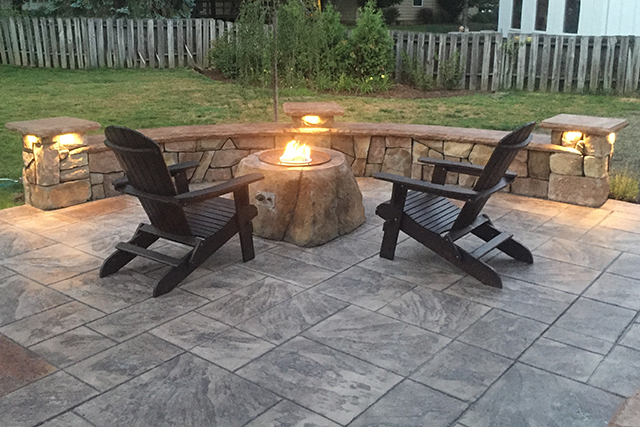 He was able to create such a beautiful space for our family to relax and enjoy the outdoors. We trusted his vision, and the final product was beyond our expectations. He truly has a talent that is immeasurable amongst his field. We felt Pete was very fair in pricing and would recommend him to anyone. His ability to visualize and transform an area into a functional living space is hands down the best. 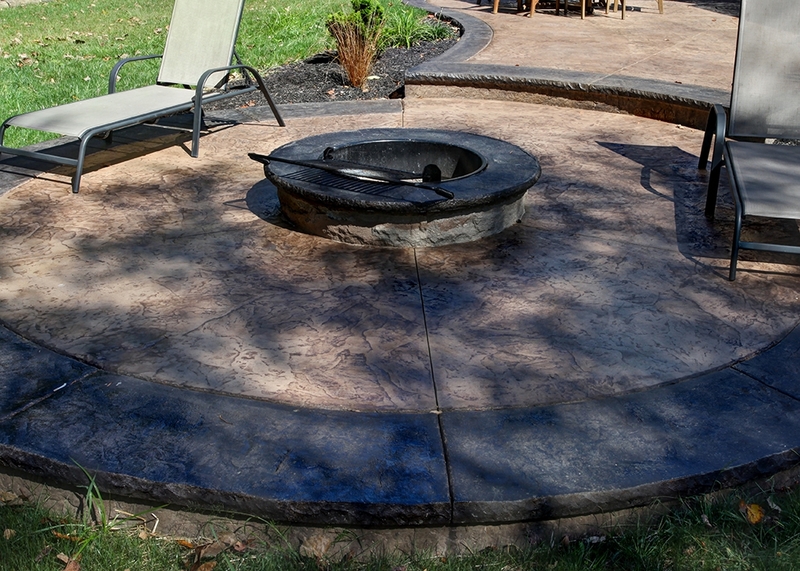 If you are thinking of a stamped concrete patio, Pete is your go to person. 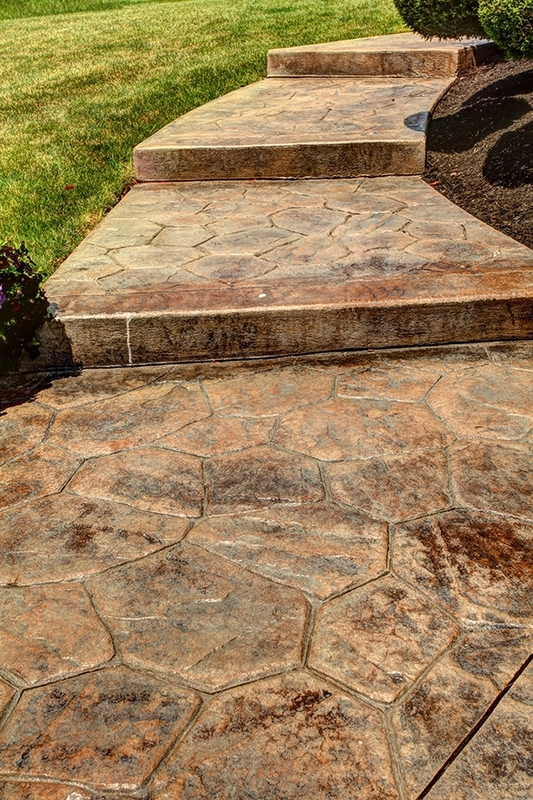 American Stamped Concrete is a good employer to work for. I was trained well. The work is labor intensive however the days go by quick when you work with a good crew of people. Pete Mehalic has a strong work ethic and the whole crew follows his example. Pete is a good guy and he runs a great business. Pete is dedicated to his craft and it shows in the quality of designs and their implementation. Thanks for giving me an oppurtunity to work for such an admirable company. Thanks for visiting our site! If you have any questions or would like to receive a quote on a project you may have in mind please contact us. We look forward to hearing from you!